Heineken is a world famous beer producer well known for it’s flag ship lager brand packaged in a distinctive green bottle with the red star. Heineken also produce a raft of more than 200 regional and local brands such as Amstel, Desperados, Sol, Affligem and Tiger to name a few. The Heineken business produced in excess of 188Mhl of beer in 2015 with a revenue of over €20 billion ranking it as the world’s third largest brewer. The Zoeterwoude, Netherlands plant is at the forefront when it comes to efficient and green production having one of the lowest carbon footprints in the business. An example of this is the extensive use of automation in the warehouse and use of barges for distribution. 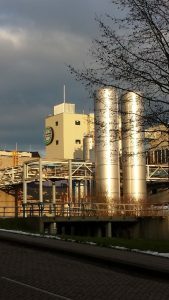 Located at this plant is the Heineken R&D department for world markets. The challenge was to replace their existing aging R&D packaging facility with a new ‘state of the art’ line. The ‘raison d’etre’ for this line is to pack small quantities of beer for testing in markets the world over. After a rigorous and lengthy selection process Enterprise Tondelli were selected to provide the R&D bottling line for one way glass bottles. The requirement was for a small bottle filling line capable of packing beer with very low DO values. The system was to be designed to incorporate technical features normally only seen on high speed packing lines. The success of the project is a result of close collaboration between Enterprise Tondelli and Heineken. Heineken were significant partners in the project development and realisation. The bottling line was designed to deliver 1500bph in several non returnable glass packages. It consists of a de-palletising table, rinser filler crowner, level inspection and a semi automatic crate loading solution. The system needed to deliver very low O2 pick up with very consistent levels in bottle. O2 pick up values realised were equal to / less than 14ppb which is outstanding by any measure. The filling machine is fitted with a fobbing device using DAL water heated to give a dense foam head and thus low O2 in head space. As in all breweries hygiene is paramount. To this end the machine table top was manufactured from a solid slab of stainless steel set to a slope. The machine is equipped with stainless steel dummy bottles to provide thorough cleaning of the valves from the centralised cleaning in place system. A sophisticated utilities skid was designed using highly reliable quality components. The design of this was subject to rigorous client review. Instrumentation was provided to capture utilities failure events and to alarm. A system to capture virtually all CO2 discharged during machine operation was incorporated. All product contacting parts are manufactured in AISI316 grade stainless steel. The bottling line delivered for Heineken is suitable for craft breweries wishing to produce small batches in glass. The level of sophistication can be reduced to suit. 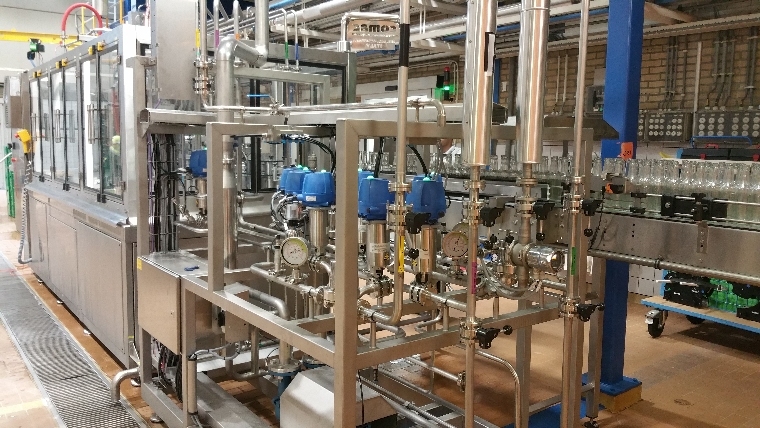 Enterprise Tondelli supply bottling, canning and kegging lines from 1,000bph to 48,000bph in bottle, 3,500cph – 60,000bph in can and 15kph – 1,200kph in keg. Intended as complimentary Enterprise also supply breweries from 3HL – 200HL.